“Accepting means you allow yourself to feel whatever it is you are feeling at that moment. It is part of the isness of the Now. You can’t argue with what is. Well, you can, but if you do, you suffer.” ~ Eckhart Tolle. “Love is how it feels to recognize our essential unity. Awakening to oneness is the experience of Big Love. Knowing you are one with all, you find yourself in love with all ~ Timothy Freke; spiritual gnosis educator, philosopher, keynote speaker, and author. There is a universal substance of eternal condition permeating it all, facilitating it all, and this substance is what the ALL is, all the concepts of human connection are based upon this substance; whether people understands the reality of it all or not, this is the only constant, everything else is of time and space, thus owning no real substance itself. This is exactly what love is beyond the concepts society gives it. It is a harmonious constant, the highest frequency which unites all, and it is the only reality; therefore, the rest is a distortion, either useful or not, made by thought. The Earth’s core vibrates at this frequency beyond the mere corpuscles of matter, and our hearts have this disposition as well via Infinite Intelligence which is in all. 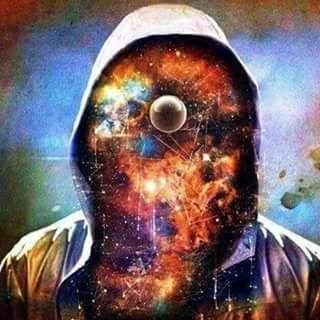 This is what makes possible all forms of connection that we know, not just spiritual and human connection, but all material connection as well–like electric airwaves, Quantum entanglement, psychic phenomena, magnetism, etc. etc. In regards to us, when we reach a state of positive thinking, inner contemplation, meditation, a condition of deep acceptance, and all which does not allow negative and poisonous thoughts to invade the body, something truly amazing happens; hence, we become one with this higher frequency, we become connected at deep levels with our heart, and so our auras or structural body fields change, expand. By science fact, our brain energy field and heart energy field become one and the same; and this becomes the harmonious constant I mentioned before, earth’s heartbeat, Universal Om, the music of the ALL. Furthermore, this is true Oneness. We become one with the earth, the heavens, and everything in between. Our whole existence transfigures–in fact, this is what the story of the Bible calls ‘The Transfiguration of The Christ’, which The Church, ‘Whore of The World,’ has made into a blasphemous and fantastical, Hollywood-like fairy tale of pure egocentric imagination to confuse and control the minds of naive followers). Next Post The Cosmic Substance. You actually make it appear so easy with your presentation however I in finding this topic to be actually one thing which I feel I’d by no means understand. It seems too complicated and very extensive for me. I am taking a look ahead to your subsequent put up, I will try to get the hold of it!